INDIANAPOLIS – The Indiana Pacers announced Thursday they have acquired 6-2 guard Jeff Teague and 6-8 forward Thaddeus Young in trades. Teague, an Indianapolis native, comes to the Pacers from the Atlanta Hawks as part of a three-way trade. The Pacers send guard George Hill to Utah and the Jazz send the 12th overall pick in June's NBA Draft, Baylor's Taurean Prince, to Atlanta. Young was acquired from Brooklyn in exchange for the Pacers' first-round pick (20th overall) in the June draft, Michigan's Caris LeVert. "We want to thank George for his five seasons with us," said Pacers President of Basketball Operations Larry Bird. "He's a great guy who did a lot for the community. We wish him nothing but the best. With Jeff, we think he brings something we haven't had in a true point guard. We think he fits in with what we're trying to do. He has speed, the ability to create for others and he can score. We look forward to working with him. "Thaddeus is a long, athletic power forward who can defend multiple positions. He was a 15-point scorer last year and averaged nine rebounds a game. 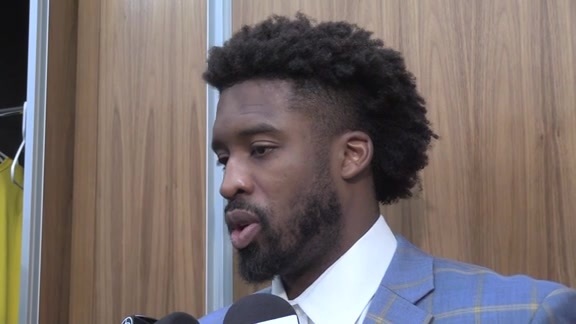 We think he's a good fit between Myles (Turner) and Paul (George)." Teague, 28, grew up in Indianapolis (Pike High School), played collegiately at Wake Forest and was a first-round pick (19th overall) of the Hawks in 2009. 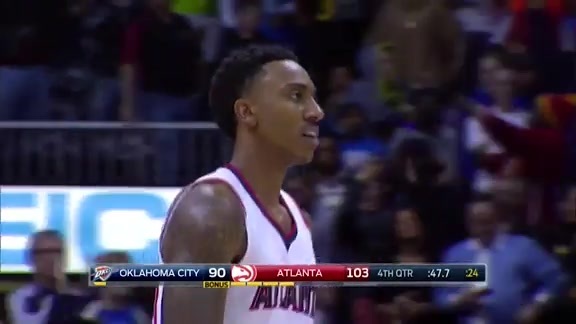 In seven seasons with Atlanta, Teague averaged 12.0 points and 5.0 assists. Last season, he averaged 15.7 points and 5.9 assists per game. In 2015, he was named to the NBA All-Star team. Young, 28, was a first-round pick (12th overall) of the Philadelphia 76ers in the 2007 NBA Draft after playing one season at Georgia Tech. He played seven seasons with the 76ers, one with Minnesota and two with Brooklyn. He has career averages of 13.8 points and 5.5 rebounds per game. In his five seasons with the Pacers, Hill played in 319 games with 270 starts. He averaged 12.3 points, 3.9 assists and 3.7 rebounds per game. Check out highlights from the career of Jeff Teague, one of the newest members of the Indiana Pacers. Check out the career highlights of one of the newest members of the Indiana Pacers, Thaddeus Young.